I would have wanted to end this month of January with plans like having a give-away, or posting about my remarkable experiences such as eating a whole frog (and some other weird and exotic dishes) or taking flight on Asia's longest cable zipline in Dahilayan, Bukidnon. But to no avail, I have planned it for days but can't seem to stitch everything into place. Are you right now inspired or do you find yourself down in the dumps? I'm sure all of us need to wake up in the morning inspired and ready to take on new challenges. However, life is not that friendly to me at times. Aside from the tons of house chores I need to finish everyday, I also have innumerous unfinished articles needed to post and submit to publications, on top of the many hats I have to wear to please clients, friends and relatives. But I like how my life is right now, though I'm often disregarded, unrewarded , misinterpreted and physically tired cause of the things I do, which seemingly I thought were BIG deals. In whatever fields we are in our lives, we need inspirations, and sometimes, we can't even find it in our own homes. At times, when we knew we are at our best stage, till we come into conclusion that we still fail at it. Being a good mom or dad. In my case, in writing. But, I need to tap myself on the face, tell myself to wake up and lay off with comparing myself to others or seeking what I lack or what I haven't done yet. WE ALL DO! I want to share some thoughts on how to get a bit of inspiration as we go about our daily lives, but before that, I just want to share how the movie THE SECRET LIFE OF WALTER MITTY have inspirited me to write this post. The movie is a mix of all light -drama, comedy and adventure. 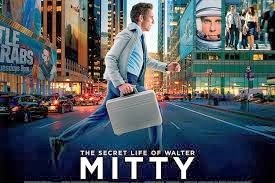 Starts and ends with Walter Mitty, being the common timid employee of LIFE magazine to becoming an adrenaline junkie in the process of finishing off his last job. The movie gives off a surreal ending, as Mitty struggles to attain no.25 film strip which was sent to him by the celebrated photographer of LIFE (Sean O'connell played by Sean Penn) and also a stock-holder of the company, which was realized that it was not on the set mailed to Mitty. What I like about how the movie moved me are the littlest scenes that shows Mitty having that character to progress and the one that transforms the film from a nice little comedy into something just a bit bigger and more meaningful, is the moment where Walter is trying to gather up the courage to hop on a helicopter and imagines that his crush, fellow Life employee Cheryl Meinhoff (Kristen Wiig), has appeared to serenade him with the song "Ground control to major Tom..." There are no effects or flashes of light: she’s simply there, this vision from inside him, inspiring him to do something new and great. The film has several of these moments of sweeping, wordless revelation, and they’re welcoming in their scale, honesty, and lack of cynicism. Funnily enough, they recall the real-life mission statement of the magazine that Walter lives to serve: “We will speak out what is in our mind as fairly, as truthfully, and as decently as we know how.” Sometimes you really can leap and learn to fly. I somehow got all the nerves to share some some ways of finding inspiration (some I got from the life of Mr. Mitty portrayed by Ben Stiller) to fuel us into achieving what we have been hoping for. Accept that when you receive Jesus, you have LIFE! There is a difference when you are alive than you have the Life that Jesus have. Come to know more of Him and just let God command your days into abundance. 2. Eat inspiration for breakfast. 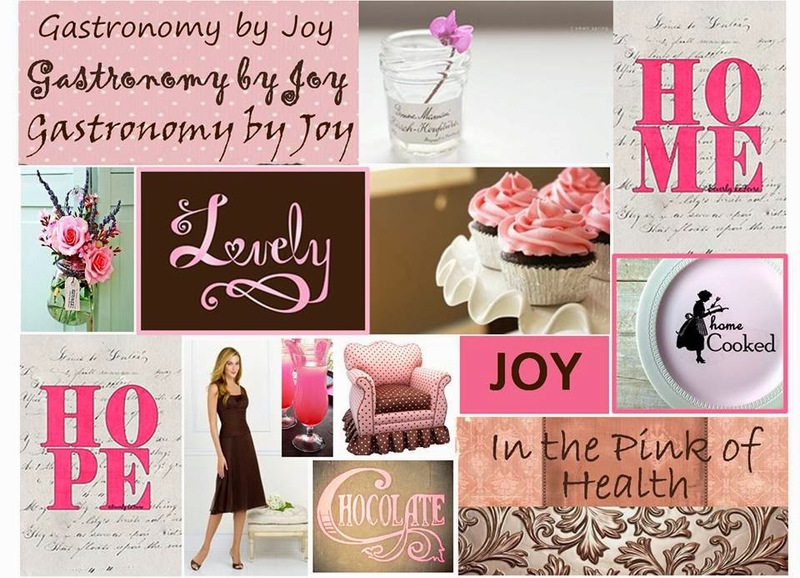 Fuel that passion with healthy and positive thoughts. I don't know any mantras, but I know successful people stick notes on their bathroom mirrors reminding themselves of their goals and that they can achieve it. Pray and claim that this day would be better than you had yesterday. 3. Surround yourself with people that inspire. Who are some of the people that inspire you or have influenced your work? Who do you want to be like, who are some of your mentors? Take some time in the morning to read something they’ve written, or watch a video they’ve created. 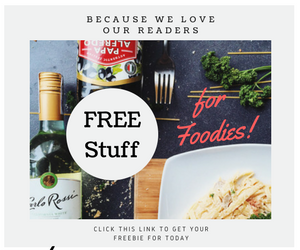 As a blogger, I look up to many bloggers as well, as they share how they have become successful (also in monetary ways) in what they do, like Martine de Luna of Make It Blissful, Lorie Baltazar of Dessert Comes First, and other mom blogs that really capture the essence of mothering a baby to a teen. 4. Go out and Be Seen. There are a lot of activities and programs which cater to every lifestyles. Find an event, register and participate, either a workshop, a conference, or just a mall show. And why not dress for it! Don't allow your make-up stash to get spoiled without being used much or your favorite dress or blouse fall out of fashion. Hmmm, am I seeing myself signing up for Zumba? 5. Check off your own bucket lists. Of course, if you still haven't had one then try to make one. List all the places, resorts, restaurants you want to visit. List also outrageous things you fear doing but likely to do and won't kill you, note that I would not want you get bitten by snakes or get stuck on sharks' jaws. In the movie I was referring to, Walter was able to jump off a helicopter into the freezing, scary tides of Greenland ocean, rode on an Icelandic skateboard to catch Sean and having survived the eruption of Eyjafjallajökull volcano and reaching the top of the majestic Afghanistan Mountain ranges. Let me just brag a little about how I conquered my fear of riding a zipline. All thanks to my travel companions they were able to encourage me to try it not once but three times. Why not try white water river rafting or rappelling. 6. Invest more time travelling with your loved ones. Here is one thing my husband and I have agreed and have committed to do for our family. Travel and experience different cultures. You'll be surprised at how your kids will enjoy their life with you and get more zest out of theirs. Isn't it fulfilling to see or hear them talk about their recent ATV ride to Mayon Volcano or describing how small Bohol's tarsiers are to their peers? The movie really made me want to pack my back pack and get my passport ready and just ran off, to somewhere scenic, art and culture-rich regions, places not published much. Make use of digital recordings of all your precious moments. Let Instagram, Facebook and Twitter be your companion and capture fleeting scenes right there and then, and look back, you'll be surprised you have been more than blessed. Good photos come very useful and sharing them more exciting and enticing, you might want to save up on good quality digital cameras and SLR's. I know, so timely noh? Most of the time, there are things in our lives that hold us back into stepping closer to what would make us happy or contented. One great example is the hurtful event that happened in the past which looses our focus into doing things right and with a purpose- we then are left FROZEN. Why don't you just let go of it and imagine life as if it didn't even happen and move on excited to chase challenges with heart and courage. Don't miss out on what beautiful things LIFE can offer...start with your self, your kids, your parents and your wife or husband. 9. Kiss, Hug and Cuddle more! "Researchers from the University of Carolina study also found that hugging instigates an elevated release of oxytocin, which is known as the “bonding” or “cuddle” hormone and prompts loving and caring feelings. Some studies have shown that it also reduces blood pressure. Another study that took place in 2000 showed that hugging babies while they were given blood tests made them cry less and kept their heart rates steadier. Both elevated levels of cortisol and high blood pressure have been linked to various diseases, including heart disease, so not only does hugging feel great, it’s good for our hearts, too." "I believe in the beauty of our dreams and that having a fulfilling life requires radical acts of courage. You don’t get the life you wish for – you get the life you commit to and work for. " Poco Deli is now in Makati! YES! I love it when my fave restaurants come near me. However, I haven't been there yet and come to think of it, I wasn't able to write about my first visit to their first branch in Kapitolyo, Pasig. While I was running through some photos, I saw these tucked-away in an unnamed file (files taken from my S3), what a surprise and an enticement indeed. If some of you haven't known yet, Kapitolyo, Pasig had been one of the most, if not the most visited part in Pasig for food tours. It's a humble yet gracious small village opened up to the public to share the town's hidden marvels, when it comes to dining. 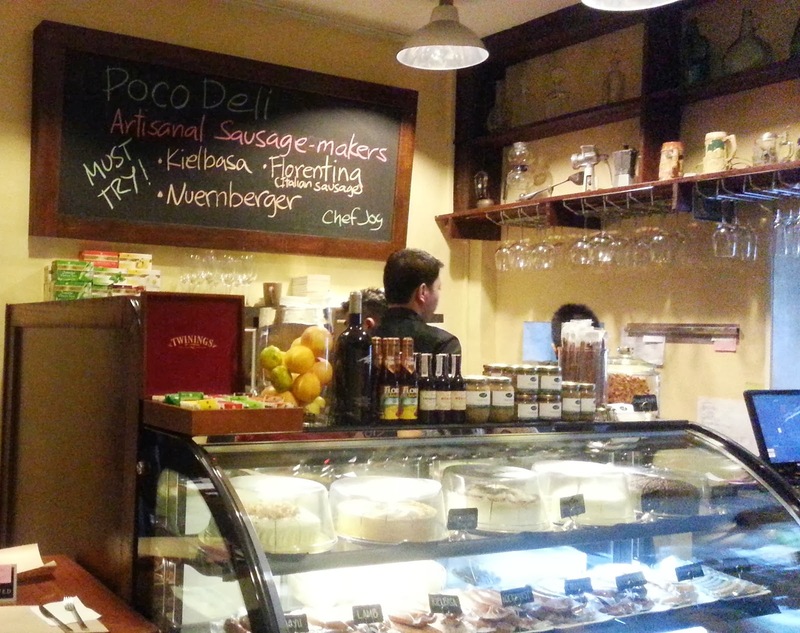 One of the places I have unearthed was Poco Deli. The year 2013 proved to be a formidable year for the Philippines. But through the difficulties and calamities, we showed extreme resilience and strength, which was witnessed and admired by the world over. As we face 2014, Krem-Top wishes to encourage every Filipino to continue to create greater and more positive changes in their lives. With the campaign they launched early this new year, "Krem Top Change for the Better Pilipinas," followers were asked about what they can do to change their lives for a better one. It was sort of a new year resolution but in that it must affect how you rule life to make if more fulfilling, yet again, what are the odds of keeping one's new year resolutions. However, we can see an overwhelming response to what Krem Top has done and what probable good changes it will bring our nation as people from all walks of life promises to do things to make their life better. So kudos to them! How about you have you joined the "life-changing" bandwagon? 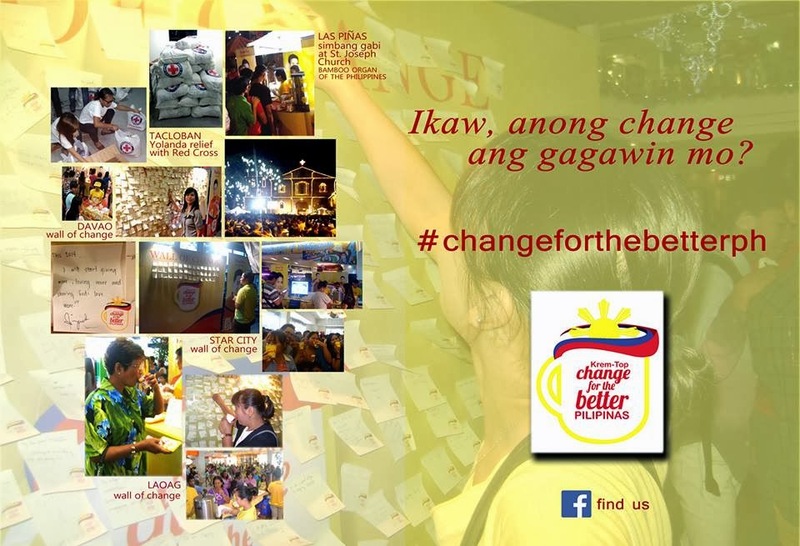 To know more updates about this campaign, you may log on to their FB Page, click HERE! Last November 9, 2013 when typhoon Yolanda had hit the Philippines, Manila was at a pause. Though the climate was nice, with a few drizzles but with a bit strong gushes of wind, everyone was awaiting news from the regions which it will hit the strongest. On that note, all my events and restaurant reviews were cancelled, even my HS daughter's PTA meeting. But it didn't hamper me and my daughter to try out a newly opened ice creamery at Glorietta 5. What really captivated me was their artisanal ice cream, such as the Madagascan Half-baked ice cream and the Sumatra Coffee Ice cream. Mad Mark's is actually not at all new to foodies, I know, where have I been all these years? Their home-churned ice creams have gained popularity in Kapitolyo. But why didn't I see it when we had our Kapitolyo Food Crawl? Well, anyhoo, let me get started with the bright and cheery interior of the place. "Mommy, are we having chicken for dinner?" Next to "what's for dinner/lunch," it's the next phrase mostly asked by my kids. When my kids hear that chicken is for dinner, it typically brings a smile to their faces. This is because there are so many ways to prepare chicken that it can please just about anyone. What many people do not know about chicken is that it not only tastes good, but it is also good for you. I bet you know already that it's a rich protein source and white meat as always contested is better than red meat. But do you know that it's also an anti-depressant! Shocks! No wonder the Coronel's fried chicken company gets richer by the minute. Eating chicken makes you happy. No, really! It can! 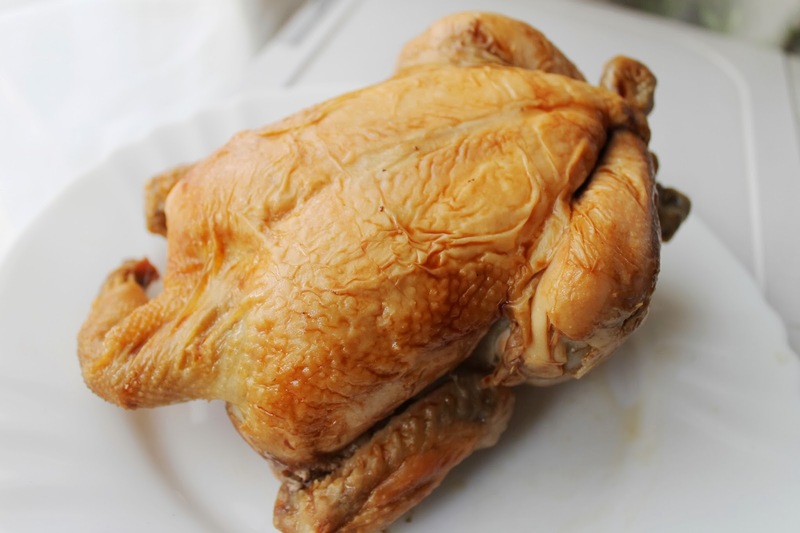 Studies show that eating chicken does this because it is full of tryptophan, which is an amino acid. Some studies show that people who are feeling depressed can help themselves feel better again by eating chicken. It will help increase the level of serotonin in your brain, improving your mood and relieving stress. On that same note, serotonin also helps promote a healthy sleep cycle! However, those facts have been over-shadowed by the different ways we prepare our chicken meat. Kids in general never get tired of eating fried chicken (oh yeah, the cholesterol), but to me as spoken in truth by my dad, chicken can be savored best in it's simplest form, no fancy-smanshy coating or sauces, not even in dishes where everything is thrown in the pot to stew with chicken. Lechon Manok is still the best way to single out the tastiest chicken. But with the different ways of preparing it, still it's hard to choose who stands out, specially now that pit-fired chicken stands are on every corner. I remember my dad would cook us "litson-manok" from scratch when we were still young. He would buy chicks and grow them. When the time it matured and was ready for the fire, he dressed them and rubbed the skin with some mixture of salt and some sorts, then roasted them. It used to by the highlight of any special occasion our family had. How I miss the savoriness of those home-cooked roasts. Till an opportune time came and had me reacquainted to that long-forgotten chicken taste. Ms. Koko Tamura, a writer by profession have invited me to try their lechon manok. 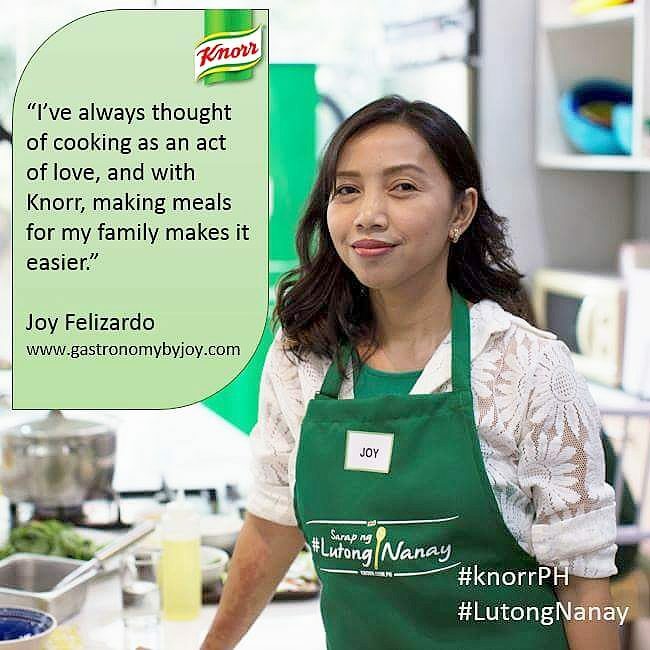 According to her, they have just opened the take-out restaurant last August 31, 2013, but have been gaining patrons in Imus, Cavite since then. Compared to fried chicken or inasal, roast chickens are far healthier and tastier. Kok's Manok is cooked suspended in a fully covered rotisserie, wherein the excess oil is dripped off while leaving the natural juice of the chicken along with special marinade evident on the meat. Kok's Manok So Juicy, So Lambot- being the tagline holds true to it's words. As you can see in the video above, the rotisserie runs on a motor and uses a precise temperature to perfectly cook the chicken to the inside. The outcome is a juicy and tender meat. I was really surprised how the chicken was evenly cooked without the skin and some parts being burnt. For a delectable chicken like Kok's Manok, you don't even have to spend a lot to indulge on it. At a cost of P 189 for a whole chicken (Classic Flavor) I say it's definitely a steal. They have it in classic flavor, but for a more intense flavor, just add P10 and have it in Garlic or Spicy. Lucky for those who live in Imus, their location is just at Patindig Araw, near the Tricycle Terminal. If eating has to become a sack-cloth and ashes penance, where we only eat food for its nutritional value, then we may as well all become vegan sheeples. But you see, we are so fortunate that we have been adapted by evolution to enjoy the tastes of nourishing food — like meat! So, I guess there is nothing wrong in enjoying our food, except if you eat as if there's no tomorrow? There used to be a time that I re-oriented my palate to a subsequent amount of meat after reading articles for some of its health-benefits. I had to admit, I'm sometimes an overly health-freak and because of some fears of getting this and that sickness, I opted to fill my body with only fruits and vegetables and less grains. Then I got to a point where my body was losing protein sources. Well, the veggies I'm eating isn't giving me enough protein to build muscles. Also, I was detected to having thin bones and have been advised to seek doctor's help in early osteoporosis prevention. In that effect, I was obliged to get adequate serving of meat. Thus I said Yey! to that. However, I still find it difficult to find a place where I can not only eat the meat being served to me but to savor it in every bite. Yes, that's me, I find time to relish every dining moments I have specially if it deserves to be recommended. Thus, let me give you Tender Bob's. I love stepping in to rustic, kind of "Southern-y" restaurants, like Tender Bob's in Greenbelt 2. It kindles comfort, laid-back feel and dining is down-right pleasant. The high ceiling accentuates the over-sized framed photos of the menu's best-sellers cladded on wooden planked walls, which altogether seemed to be inviting. Outrageous wall ornaments such as these rackets, found on the stairs leading to the function room on the second level. Ordering is a breeze. For a first-timer like me in Tender Bob's, I would have found it difficult to choose what to get, because the menu is filled with all that are yummy and meaty. The staff were so accommodating, even the Store Supervisor, Ms Mary Ann Bernare was so welcoming in entertaining our questions about their menu. For starters we had their all-time best-seller, Potato Skins (P200). I never realized potato skins can still be as good as any chips, in fact, it's way better. Just a thought, the next time you throw potato peelings, remember the photo above. It is perceived as the most nutritious part of the potato, don't you know? Tender Bob's was crispy without being oily. The flavor was intense yet not salty. At first bite I said, I could live with this...good bye packed junk foods! Grilled U.S. Pork Belly with Pineapple Pepper Relish (P 320) came next to our table just as we were enjoying our Potato Skins. The aroma was incredibly saliva-inducing. I'm not sure if this is still grilled the American way. I could describe the taste as how my dad or my aunts would marinate it with a little sweetness. Perhaps some juice from the pineapples or lemon (or calamansi) made it a little tangy and sweet. Your plate is complete with steamed veggies and fried rice. I just needed to mention how tender the meat is, it easily falls off the bone when twerked with a fork. On that night I cheated a bit on my health, eating a few bits of the fat portion, which I don't normally do and I often disregard that part, any fatty part of every kind of meat that is. I'm so into meat dishes with pineapples. I just love how it fuses specially with pork. So, I would definitely recommend this to any newbie or old-timer diners of Tender Bob's. Having said that, let me also recommend the Pineapple Tonburg Set of Tokyo Tonteki in UP Town Center. And when you say comfort food, hamburger remains to be on the list. Partnered with big-sized French fries, the One Pond Burger (P 415) deserved to be given enough applaud. If you think one patty is enough for a seemingly average burger, then how could a three-patty burger not mesmerize you? Upon seeing this towering burger, I almost fell of the chair and thought that I might not like it. Why? It's a food for the carnivorous for heaven's sake! And I'm not one. Braved myself and looking at my fellow bloggers all-eyes on the burger, I made the first slice and had the first bite. And you know what? It was indeed heaven! You will notice the nicely done grill marks on each of the burgers as well. The tomato and onion slices also made it to the grill. Now, I no longer miss Carl's Jr. and his grilled beef patties, Bob is here! Each grilled Black Angus patty is a third of an inch thick. Even though it's that thick it still is juicy and completely cooked right through the middle. The taste is incredible, I think I'm going to convert to being a meat-eater, NOT! If you got "umay" with all the meat, make sure to cap the meal with a dessert and their top suggestion - Sizzling Caramel Bread Pudding (P 220). The home-made caramel bread pudding was swimming in boiling toffee sauce and served ala mode on a sizzling pan. Crazy? Yes! But beyond that, is a gooey, delightful treat that will leave you either speechless or with an "AAAHHH!" Make sure you consume this immediately before the scoop of vanilla ice cream melts all over the pudding. What I like about this and which amazes me is how the pudding stands firm with all the syrup and ice cream melting. Because if so, it would probably end up yucky and unappetizing. I'm not a syrup person but I enjoyed eating this with all those syrup, 'coz it's not at all too cloying. However, two of us finished this in no time, just for the record. But I don't mind coming back just for this and the Potato Skins. New Year brings new beginnings to endless possibilities! Century Park Hotel welcomes everyone with treats perfect for a delightful 2014. Experience the merriment at the Atrium Lounge on January 30, 2014 at 7pm and on January 31 at 12noon as we welcome the Year of the Wood Horse! Witness the eye-dotting ceremony and watch the Lion and Dragon dance as they chase away bad spirits and bring good fortune and happiness. The Deli-Snack Counter at the lobby offers wide array of delectable treats including rice cakes, pastries, bread, wines and more delicious goodies from January 28 until February 2. Spread sweetness all year round with your favorite delicatessen at Deli Snack from 8am to 8pm. The Café in the Park celebrates Chinese New Year with a special feast. Enjoy dinner buffet on January 30 or lunch and dinner buffet on January 31 and February 1 for only P1,250+. A special treat awaits children 7 to 12 years old as they take 50% off and a free dining experience for 6 years old and below. 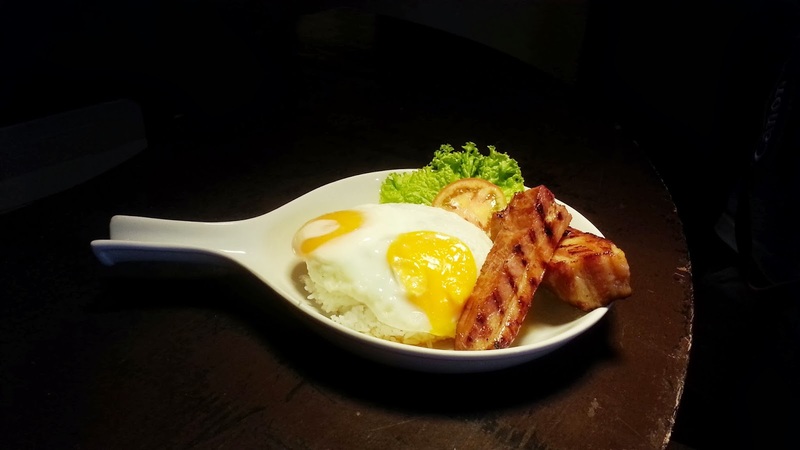 Diners also get a glass of house red/white wine, local beer, chilled juice or unlimited iced tea for additional P 160 net. Your dining adventure continues as they offer value for money deals with our three-month special promotion from January 6 to March 31. Dine along with your family and friends at the Café in the Park and have a great buffet experience. Get one free buffet for every three paying buffet diners from Monday to Tuesday and another free one buffet for every five paying buffet diners from Wednesday to Sunday. Add P 160 net per person for a bottomless iced tea. The multi-awarded Century Tsukiji lets you experience a live cooking action. Enjoy an indulgent lunch or dinner Teppanyaki set menu and a la carte options. 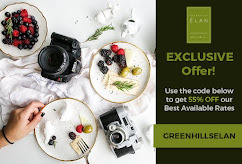 Businessmen have a value added menu option for only P575+ per order plus a toss in a complimentary dessert and iced green tea. Above deals are not valid in conjunction with any other discount cards or promotions and are not available on January 31 to February 2 and February 14, 2014. Feel the love month as early as January as we present the perfect Valentine special room package. Enjoy an overnight stay with free buffet breakfast for two at the Café in the Park plus a set dinner for two at the Century Tsukiji or Café in the Park. 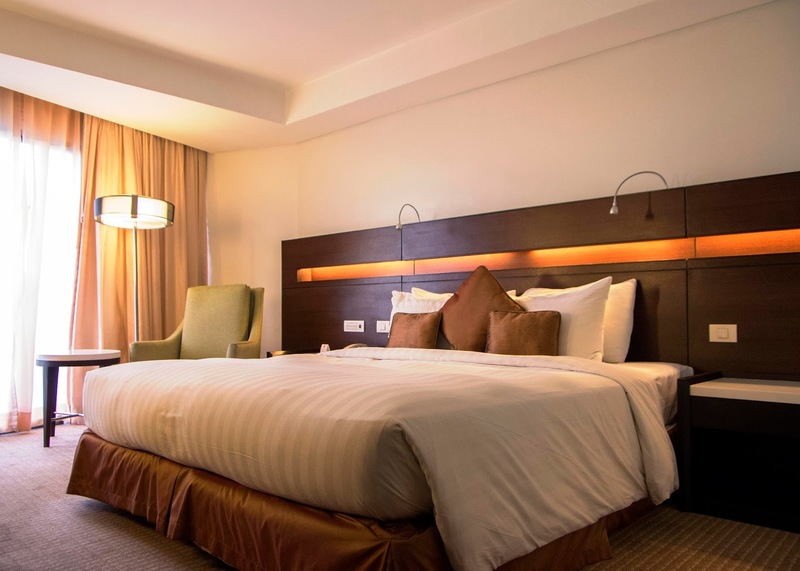 Superior room at P5,000 net/room/night and Deluxe room at P6,000 net/room/night. Set dinner is valid while guests are in-house. This Valentine offering is not valid in conjunction with any other discount cards or promotions. At Century Park Hotel, we turn significant events into momentous celebrations. Happy New Year! 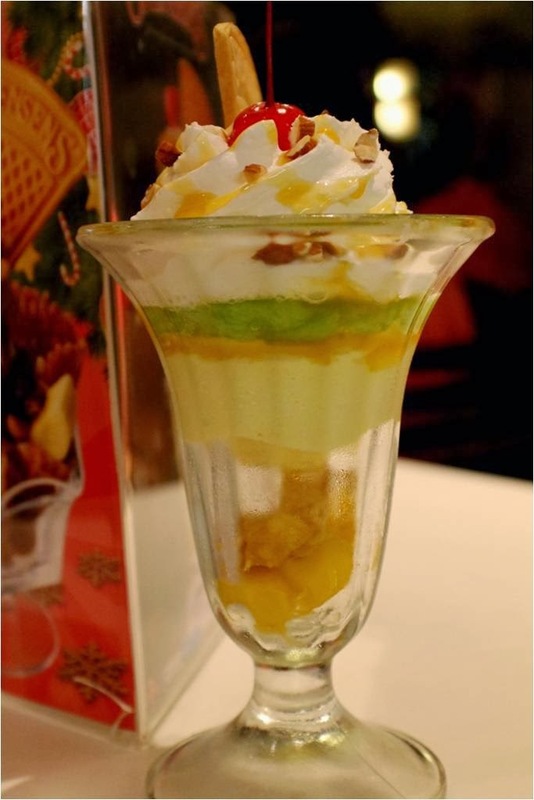 Memories brought by savoring on sundaes are just peachy. I have noticed that as we grow older, we have a tendency to think back to the time when we were youngsters. Why does ice cream always have to be the culprit? However, not all ice cream eating experiences give that nostalgic feel on me, only those selections that really put the heavens on it's proper places. Today is my father's birthday and I just had to dedicate this post to him. Again, for the nth time, I'm not anywhere near my parents to celebrate with them. For the record, let me mention that the first placer in my Foodie list goes to my Papa. Haha. He is the ultimate "No to food wastage" food connoisseur! If my mother thought me how to adore chocolates, Papa was the one who brought me and my siblings to what used to be the fanciest ice cream bar back then in Makati, the Magnolia Ice Cream House, near the what was known then as Shoemart. That's how we started looking at ice cream on a whole new level. I used to remember the dirty ice cream vendor putting scoops of not so flavorful frozen concoctions in between the slit of a sliced "monay." Gone were the days. Since I first had the chance to see scoops upon scoops of ice cream on a beaming boat-shaped glass bowl, topped with peanuts, chocolate pieces and syrup, with sliced bananas on the sides, I never looked at ice cream the same way again. How can a sundae not give you the jeepers, if all that was chocolates were playfully put on a frilly short-stemmed glass and topped with more chocolates and nuts? Days after that date with our Papa, he went abroad to work, but his jolliness and sweet attempts to show his love for his three children remained. That ice creamery had been torn down decades ago. It had been long since specialty ice cream houses came back. I have almost forgotten that precious time with my siblings and Papa. Thanks to Swensen's Ice Cream for stirring it up for me. 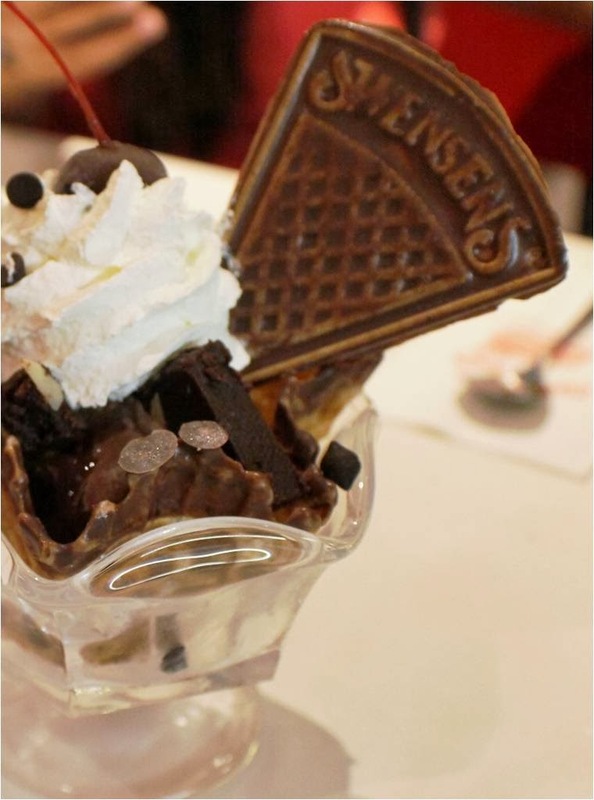 Just before the Christmas bend, I was invited to try out Swensen's Waffle Sundaes. I was able to dig in to three varieties from the five they have on the menu. My first choice was Super Bowl Strawberry. 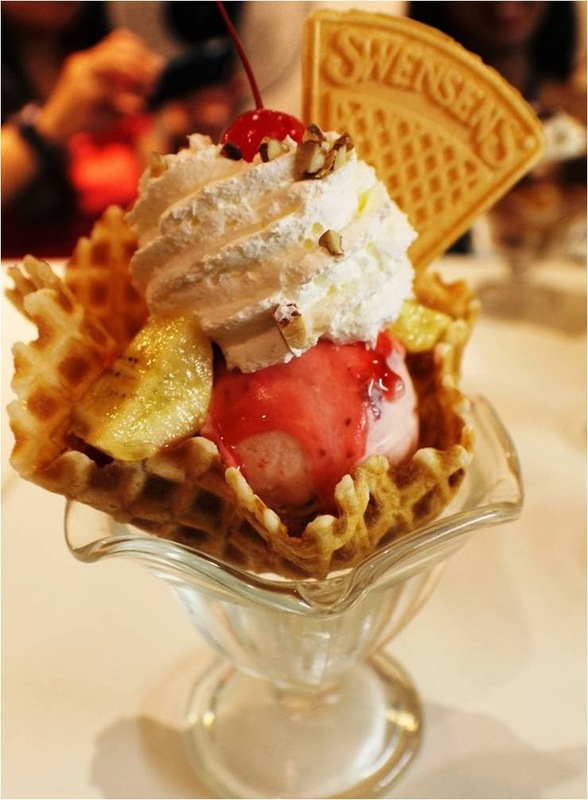 A crunchy waffle basket was filled with a large scoop of strawberry ice cream, drizzled splendidly with strawberry coulis (sauce), slices of bananas, cream and finished off with walnuts and cherry. One glass was really enough for me, so I just had to ask and get a couple of spoons from the other bloggers who were also invited. My seatmate had an order of Super Bowl M & M. It's a vanilla ice cream topped with banana slices and plenty of M & M's. What I love about Swensen's array of ice cream selection is that it's not that sweet compared to other known brands in the market. Talking about the price, I'm hands down, since it's way more affordable than the artisan gelati which sprouted all over the metro, but just as creamy and intensely-flavored. Also, the waffle is right to my sweetness level and crunchy to munch on too, it didn't even sog though the ice cream had been sitting on it for a while. 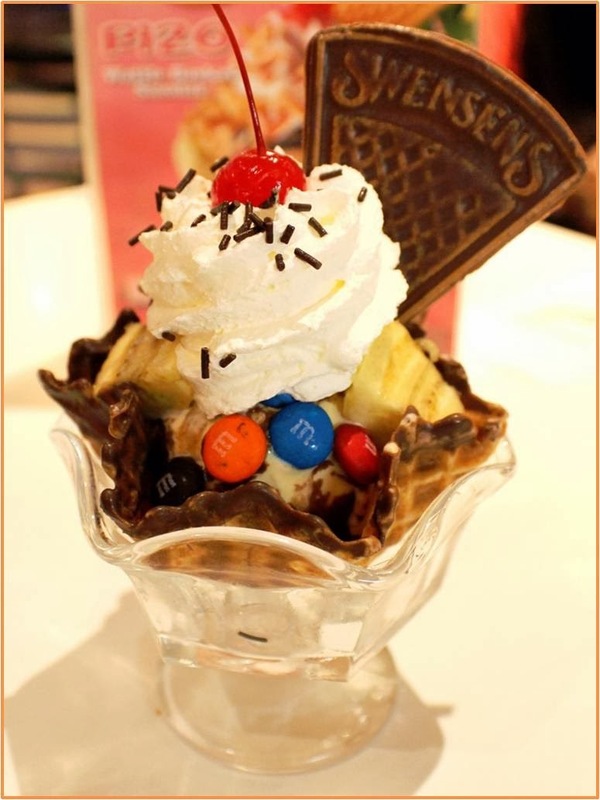 When you are at Swensen's, expect an agonizing amount of time in choosing your kind of ice cream, for they have A LOT! And since it was my first time at Swensen's, I also got to taste some of their unusual varieties which include the Mango flavor. I also had another treat, it's some kinda of a Mango Ice cream with sticky rice parfait, which is a different experience in itself. Imagine eating pandan-flavored sticky rice with ice cream, need I say more. With all that shared, I owe my father a great hug. Though, I could not repay whatever dining lessons I got from him, since I could not treat and over-indulge him to the likes of Swensen's, because of the darn diabetes, I'll just pass this on to my kids, which I'm sure he wouldn't mind. Carnevale, the masked extravaganza of Venice is a grand attraction in Italy which usually happens during January to February. This year however, Carnevale di Venezia 2014 will kick off on Valentines Day, February 14, 2014. Wait, what am I talking about? It is my deepest yearning to experience this kind of carnival, and would have loved to chronicle it for you, but I don't have the means yet to make it in reality. I love everything about Italy, and it would be great to have a piece of it in Manila. Thank God, Megaworld Corp. invented the theme to be one of the main attraction of their biggest and strongest projects in McKinley Hill - the Piazza, Venice and Tuscany. 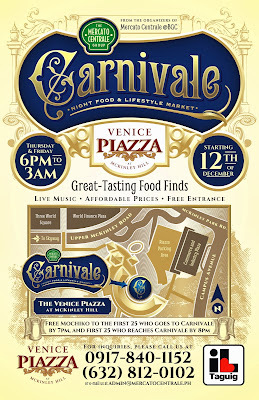 After channeling my inner love for the colorful and extravagant Italian culture, I made my way back to The Piazza at Venice, McKinley for the opening of Carnivale, Mercato Centrale's newest night food market last December 12, 2013. With the people behind the partnership of Mercato Centrale and Megaworld Corp. for the ribbon-cutting ceremony. It may not be that close to the real Venetian carnival, but it sure is a good way to indulge on some gourmet finds, typical street foods, the usual favorites at every Mercato Centrale's night food and lifestyle markets with a fragment of the fun that is of a "carnevale." Check out my photos to see what to expect every Thursdays and Fridays at 6 p.m. in the evening to 3 a.m. the following day. The Mercato Centrale group, which also runs the Levante food market in Eastwood, has been the birthplace of many fast-growing Manila-based food businesses like Manang’s Chicken, Mochiko, Merry Moo Premium Ice Cream, Spring by Ha-Yuan, Kristina’s Inutak, Chuck’s Grubberie Fish and Chips and many more. Before the foodie term conception of "all-day breakfast," there is Flapjacks already. 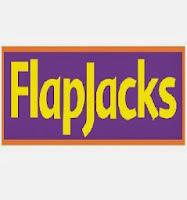 We have loved Flapjacks since we tried it for the first time. I love trying out newly opened restaurants and cafe's, even my kids too, but just the same, we are also creatures of habit. Going back to the secret, well, this isn't really a secret, especially to the regular diners of Flapjacks and Italianni's. All of Bistro Groups restos are kid-friendly and at this particular resto in Greenhills, they welcome kids up to 10 years old with free meals. There I said it! 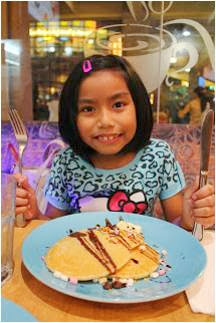 Go there on weekends and have your kids indulge with all-time kiddie favorites like pancakes, pasta, fries and more. Mac n' Cheese platter: has breaded chicken strips, French Fries and Macaroni and Cheese. 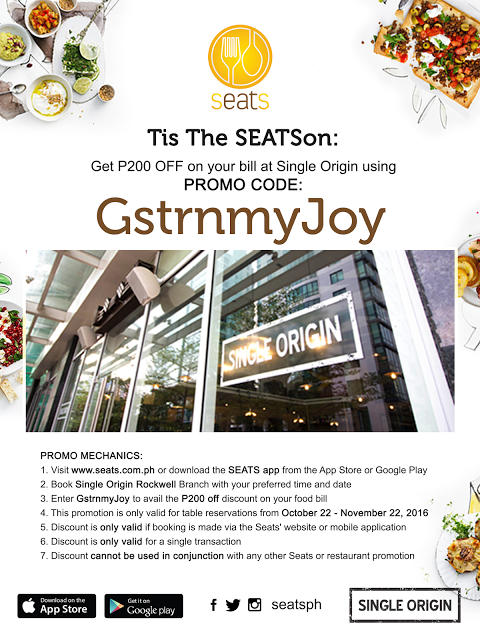 There is no terms in availing the promo, though every table is limited to two FREE kiddie meals. They have Junior platters to choose from menu. Every items are every kids favorite and served heftily even for older kids. My youngest, Danica, had these mini-pancakes (they aren't mini in my world), so this is a heavy snack to have already. Their fluffy and buttery pancakes are our favorite. You can either have it with maple syrup and butter or chocolate syrup and some marshmallows. Dana had the first platter and a portion of the above, mainly the bacon and the other waffle. We had this and more for our dinner. I will share you the family lunch we had last December and why we love it here, not just because of the free meals.